Winter can take a toll on your home’s facade. Snow, winds and freezing temps can leave the outside of your house looking a little world weary. You don’t need to give the exterior a total face-lift– some simple, strategic sprucing is all you need to take the front of your home from dull to dazzling. Don’t invest the time and money in to repainting the entire exterior if you don’t have to. Often, all the exterior needs is a good wash. Renting a power washer is a quick, easy way to rid your home’s exterior of dirt and grime. However, if your home is covered in siding, stick to an old-fashioned scrub down. According to Ocean Home Magazine, power washers can damage siding. The magazine suggests starting at the bottom of the house and working your way up using a garden hose, a bucket of sudsy water and a soft brush attached to an extension handle. 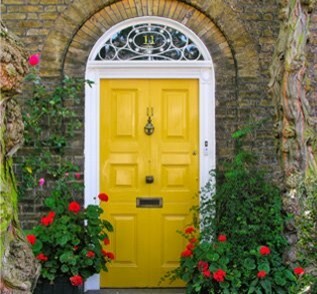 A dull front door can leave your house looking terribly uninviting. Give it a style kick with new hardware and a fresh coat of paint. Centered door knobs are currently on-trend and add a unique edge to the front of any home. A door in a bright shade like red, teal or yellow makes a neutral colored house pop. Adding pretty curtains or a stylish valance can take your window’s interior from drab to fab. Shutters work the exact same way on the exterior of your house. Get fancy and purchase pairs that open and close, or save a few pennies and stick to the purely decorative kind. 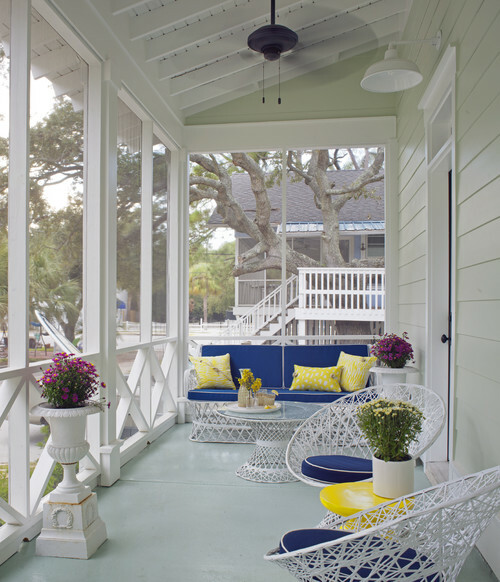 The front porch is the first thing people notice about your house– don’t neglect it. Give it a fresh coat of paint, or a new stain. Take advantage of the outdoor space and create a place to hang out by installing a porch swing or adding some tasteful patio furniture. 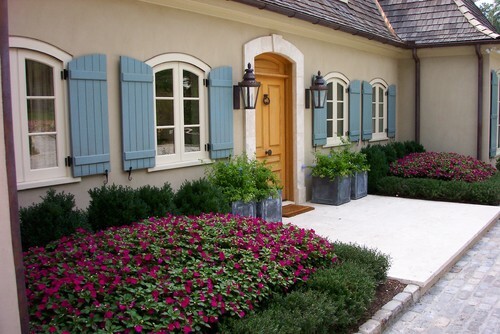 Planting bushes and flowers give the front of your house personality. 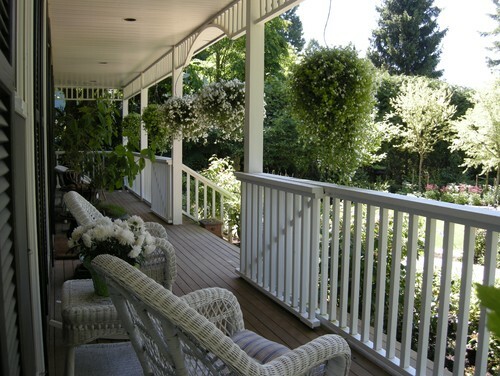 If investing in landscaping isn’t a possibility, you can still add loads of character by installing flower boxes in the windows, placing potted plants on either side of the front stairs, or adding hanging plants along the front porch. A house should look pretty 24 hours a day. Give your exterior a great night time look with the right lighting. Add outdoor LED lights along the front walkway or along a winding driveway. Switch out bland porch lights for something decorative. Install the lights on a dimmer so you can adjust the mood accordingly. A home is something you should be proud of. Giving the exterior the same kind of love you give the interior lets neighbors and guests know you care about making a good impression. Are you ready to get started? Take a look at eieihome’s directory of siding contractors.